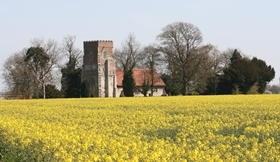 Little Bromley is located to the northern side of the A120 and is a widespread village of which the major part is farmland. The majority of the village population live along the road linking Little Bentley to Lawford. There is a local public house and the town of Mannigtree to the immediate north provides for the major needs of the villagers. It is ideal for people wanting a rural setting whilst being in easy reach of the A120 or Manningtree. Great Bromley is also a widespread village being about 6 miles from Colchester and again is easily accessible to the A120 There is a primary school within the village, public houses and a village hall adjoining the cricket ground.